Whoisvisiting Is A Qualitative Data Platform Designed To Show You The Identity Behind The Information Provided By Your Analytics Tool. Not only do we tell you the company name, we also supply you with the business contact details. 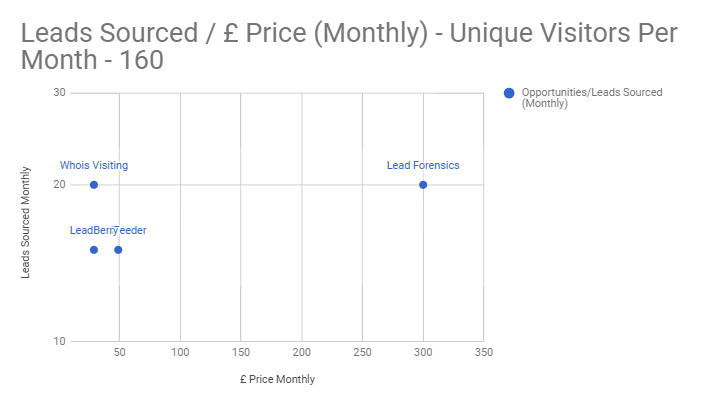 Lead Forensics are able to charge an extortionate amount of money because they were the first to arrive in the UK market of B2B Lead Generation - website visitor tracking via IP tracking solution. 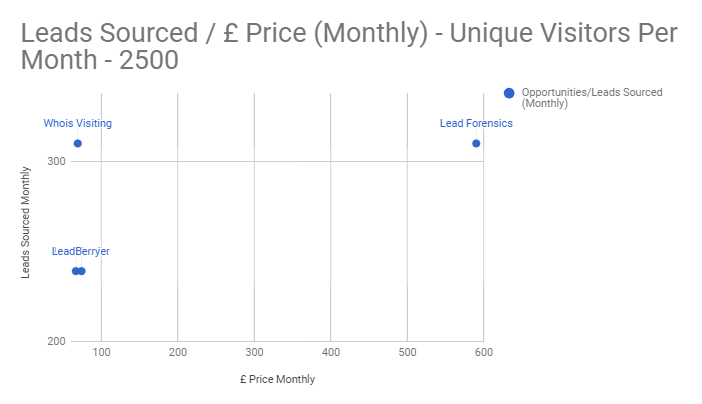 Founded in 2009, Lead Forensics could dictate the cost of their product because there was no competition providing alternative value or functionalities. Ultimately, a one company market is a dangerous situation for the consumer. There is the possibility of exploitation and taking advantage of other businesses, by overcharging them with no alternative available of reducing costs. Whoisvisiting has provided the market with an equally as effective system, at a sustainable cost. How and Why Do Lead Forensics Continue To Charge So Much? The Lead Forensics price continues to be much pricier because they have built an authoritative brand over the years. They will continue to preach that you get what you pay for - but this is proven to be false, deceiving and is purely a phrase of vanity and self-arrogance. 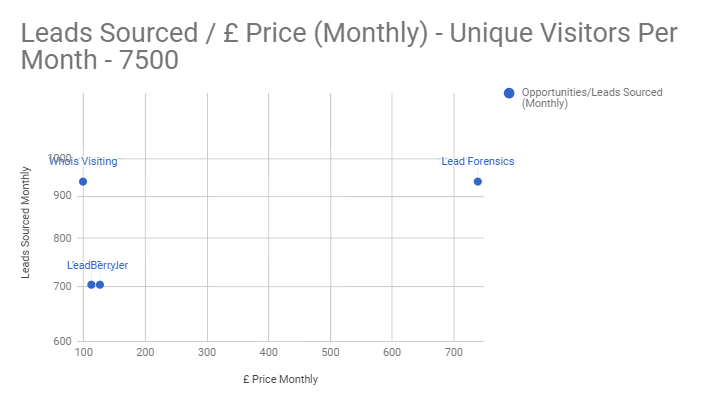 Along with this, Lead Forensics’ own outbound approach and the expense of the scale of their cold calling facilities, intensity and manual costs, raise the prices of their service to a significant level. When you put it into realistic perspective with a logical context - regardless of a slight differentiation either way of performance of each system, when you take into account the price per lead or company discovered, it is an alarming difference. Whoisvisiting has always taken the approach that there is no point having a customer for a short period of time and then leaving. Ultimately we want to develop together in a mutually beneficial relationship. The more value you get from the tool, the more likely you are to continue to grow simultaneously with us across the B2B industry. Therefore we want to remove the entry barrier to the world of website visitor tracking. No exclusions, allowing all businesses who are running effective marketing campaigns, and looking to discover information about their website visitors for sales and analytical purposes, to make use of this system. This is something often presented by Lead Forensics sales representatives, in desperate defence and attempting to justify the cost of their product is that “you get what you pay for”. This is a cliche statement in which this context can’t be supported. These are all completely false statements! 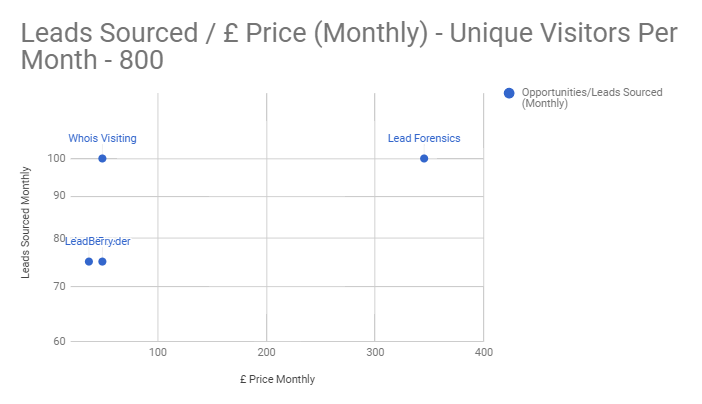 Lead Forensics are selling a false expectation of a magical solution which suggests that if you pay more money for their software you will automatically get more and greater quality of leads. However, Identification rate is a constant. The variable factor is the marketing output and how you choose to pro-actively follow-up with opportunities. Therefore it is actually the process of putting more money and intelligent efforts into research, marketing and advertising campaigns which will impact the traffic numbers on your website, consequently creating more potential identifications. There is no direct correlation between the amount of money you spend on website visitor tracking, and the quantity of website visitors you will receive. The installation of a code or plug in does not provide your website with a sudden influx of traffic. It is only capable of highlighting the traffic you are already getting (and that is down to your own actions). So it is not a case of because Whoisvisiting charges is less, we must provide lesser quantity or quality of leads - because the function of how leads are discovered simply doesn't work like that. Website visitor tracking enhances the potential and arms you with additional tools to discover and act upon new opportunities and insights. We have implemented the necessary measures across our departments to ensure our data and dashboard are as good, if not better than Lead Forensics. So again, we are not disregarding what Lead Forensics do as a business - it is a very good service, almost as good as our own. It is only that the model they are using is excluding and unsustainable for many companies.